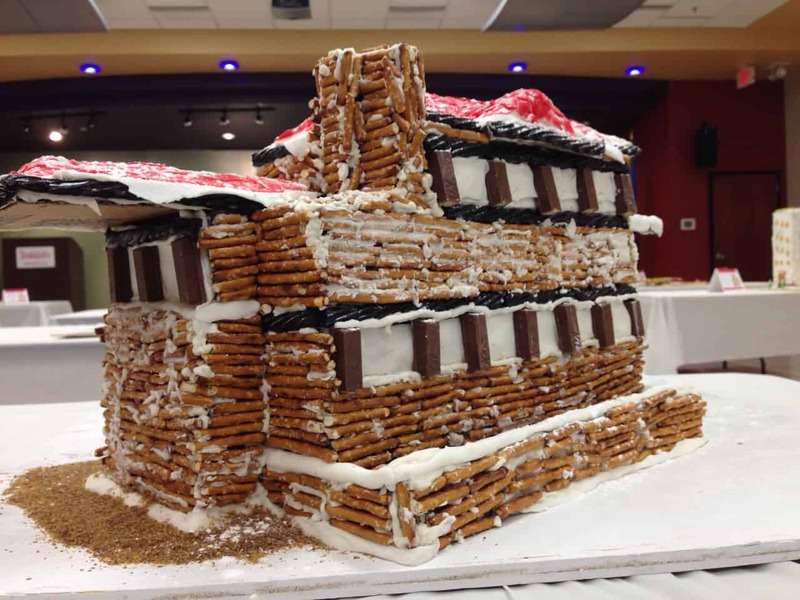 The Tulsa Regional STEM Alliance is excited to invite you to participate in our Scale Model Gingerbread Building Competition! Presented by AIA Eastern Oklahoma, Tulsa City County Library, and the HBA Charitable Foundation. 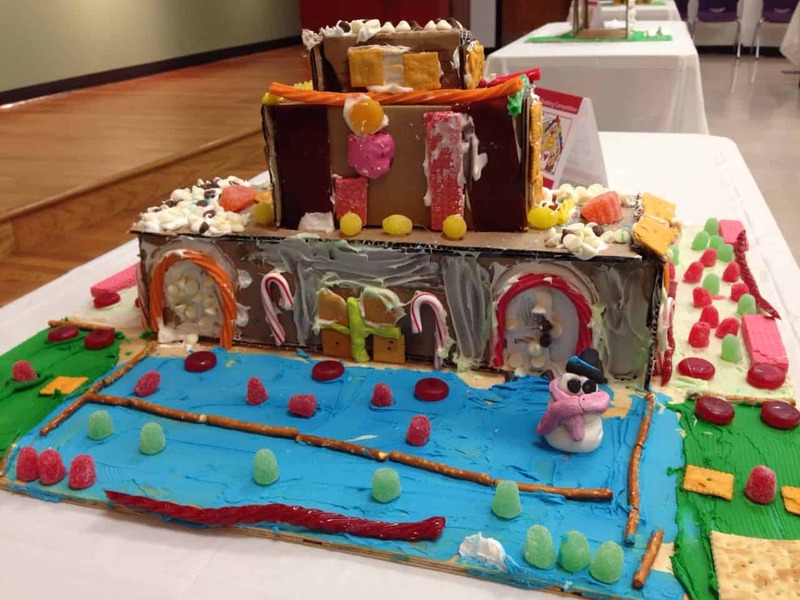 In celebration of the wonderful gift of the Tulsa Gathering Place, we invite participants of all ages to build their own gingerbread replica of a feature or element of the park, as an individual, class, or group. This event has passed. If you’d like to receive an email when the event details for 2019 have been updated, please sign up with the button below. Start Early! Perfection really does take time. This wonderful, dynamic, artistic, and architectural process will take longer than you are thinking it will. Up to 30 Scale Model Gingerbread Entries will be accepted. This competition is for all ages, from elementary to professional. Cash prizes in all categories will be awarded this year! Drop-off entries on Friday, December 7th from 4-5:30 PM. No fixing or clean-up on entries will be allowed after 5:30 PM. Saturday at 1 PM, competitors can pick-up their building from Frossard. All buildings not picked up will be on display on tall shelves in the Children’s Department at Hardesty from December 8th through December 29th. They may be picked up from Hardesty during this time. After the 29th, any buildings not picked up will be thrown away. All entries must comply with the following rules. Entries not meeting the specifications of the competition will be excluded from the contest. The Tulsa Regional STEM Alliance reserves the right to reject any entry that does meet a minimum modicum of quality workmanship befitting the contest. One entry per class, group or individual. 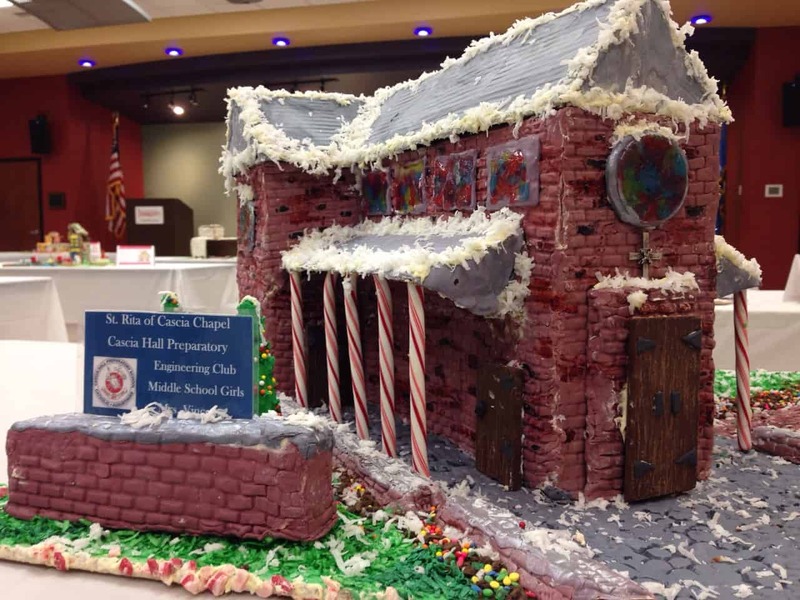 The base of the Gingerbread Building must be 1/4″ plywood no larger than 24″ x 24″ (or 2 feet by 2 feet). The exhibit must be no more than 24″ tall. The basic structure of all entries is considered non-edible and may be constructed of any material (e.g. glue, milk cartons, boxes, etc.). However, the exterior of the model must be made of materials normally suitable for human consumption. Please do not use materials that will quickly decay or are extremely fragile (e.g. whipped cream, fresh vegetables, meringue) as the exhibit will run for approximately two weeks. If real icing is used please use the Royal Icing (recipe below) to ensure icing will harden and hold together. Glue works better to hold parts together, so we suggest only using the Royal Icing decoratively. Step 1: Combine cream of tartar and room temperature egg whites in a large bowl. Beat at medium speed until the whites are frothy. Gradually add sugar, beating on low until the sugar is moistened. Step 2: Beat on high speed until mix is very glossy and stiff peaks form (5-7 minutes). If necessary, add more powdered sugar. Icing dries out quickly; keep it covered. It keeps 3 days in an airtight container at room temperature. Never double the recipe; make 2 batches instead. Can be colored with food coloring or piped.